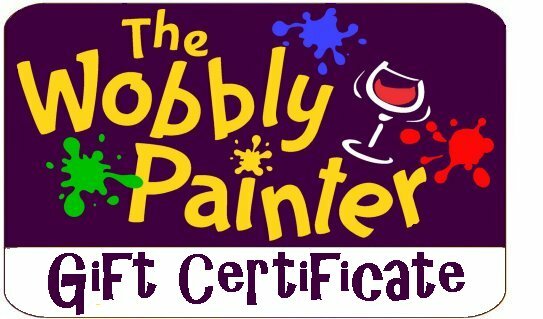 Our gift cards transfer the decision-making to the recipients, who can use your gift to purchase a spot at any upcoming painting event anytime they wish. It can be sent by e-mail or regular mail (anywhere) for no additional charge. You can even Save Time with Deferred Delivery: Purchase gift cards for everyone on your list at one time. Select the date you'd like each card sent and we'll take care of the rest. Your cards will arrive on time for birthdays, anniversaries, holidays, and other special occasions. All you need to do is let us know the name of the gift recipients - we'll send them the gift card(s) with a current schedule via regular mail or e-mail (your choice). After they have made their selections, we'll enroll them in our classes.